Unity of Rehoboth Beach is a new spiritual community in southeastern Sussex County, Delaware, near the Atlantic beaches and the Tanger® Outlets. We are affiliated with Unity Worldwide Ministries (UWM) which is headquartered in Lee’s Summit, Missouri. Unity was founded 125 years ago in 1889 by Charles and Myrtle Fillmore. Today, many people in the United States and overseas learn about the Unity movement via the Daily Word Magazine, Silent Unity and World Prayer Day. Our first service was held on August 3, 2014, led by Ms. Sandy Souder, a licensed Unity Teacher (LUT) who is our spiritual leader and founder. On Sunday mornings, we hold a weekly service from 10:00 a.m. to 11:00 a.m. followed by a short fellowship gathering to meet each other. Our address is 98 Rudder Road, Unit A, Long Neck, DE 19966, six or seven miles west of the Route 1 and Route 24 intersection. From west Route 24 take Long Neck Road,our services are held in the Seafarer’s Village shopping center in front of the Sea Esta Motel across from Bona Pizza. During the week, Sandy also teaches classes and leads book discussions in Long Neck, approximately 20-30 minutes from Rehoboth Beach. We invite you to join us for a Sunday service, class or special event. Dates are listed on our calendar and in local newspapers. Sunday Celebration Service: 10 a.m. Unity of Rehoboth Beach was approved as an expansion ministry under the umbrella of Unity Worldwide Ministries (UWM), a 501(c)3 nonprofit religious organization in 2014. Our leadership team consists of a spiritual leader and a Board of Directors (temporarily a Steering Committee). 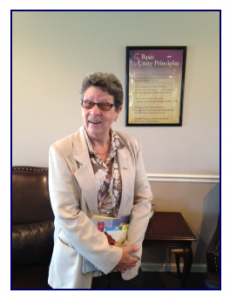 Our Spiritual Leader, Sandy Souder, is the Licensed Unity Teacher who started this ministry. She organized initial resources and gave generously of her time, talent and treasures over the past few years by conducting classes and outreach. She found several like-minded people and formed the initial steering committee to help her establish a foundation for Sunday services. The Steering Committee’s purpose was to facilitate the business of our nonprofit organization and grow our community towards full ministry status. Our first Sunday Service was held August 3, 2014. Sandy is the inspirational leader of Unity of Rehoboth Beach in Sussex County, Delaware. Sandy planted a seed many years ago and set out on a spiritual journey to become a licensed Unity teacher while working full-time as a Pennsylvania civil servant. Now, several years later that seed has sprouted and Unity of Rehoboth Beach turned two years old in August 2016. So who is Sandy Souder and how did she get here? By name, most people know me as Sandy, San, Sandy Souder. I’ve traveled life at various levels of consciousness. Fortunately, I have become more awakened. And it is my intention to keep at it, this lifetime and the next, and the next, and the next…You get the idea. I pray that I carry this level of consciousness to the next life so I can start where I left off instead of starting from zero! 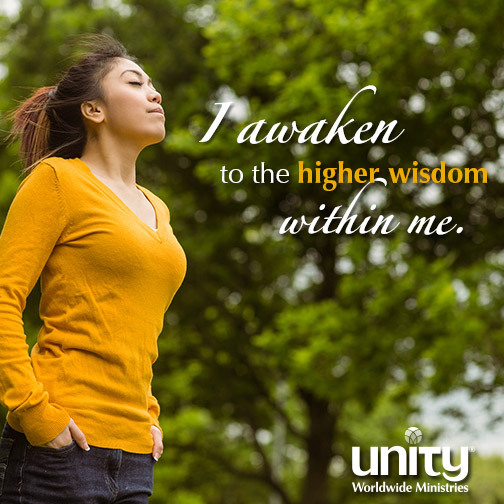 I became a Licensed Unity Teacher for Unity Worldwide Ministries in May 2011. That came after a lot of class work, a lot of field work and a lot of soul searching. Much had to change from within for me to get to here. And much more is yet to be discovered. What am I doing to grow and assist others? I work very hard to BE loving to all. To be compassionate. To be caring. To be patient (tough one for me!) I followed a calling and moved to the Rehoboth Beach area where I always felt that the energy would support a New Thought Ministry. So, here I am. In January of 2013, I started classes to discuss ideas from a metaphysical point of view. We used the book, Discover the Power Within – A Guide to the Unexplored Depths Within by Eric Butterworth as a springboard to our discussions. Those classes are held on three different days, at three different times and three different places in an effort to accommodate as many people as possible who may be interested in this type of discussion. While each class has been a success, we eventually released the Thursday morning class and am focusing on Tuesday afternoon and an evening class. The birth of Unity of Rehoboth beach came from those classes and climaxed at our first Sunday Celebration Service August 3, 2014. There is much more to my ‘life’s’ story but the important thing here is how I came to be a part of Unity of Rehoboth Beach. I am sure as we get to know each other more, the ‘rest of the story’ will be told.